Pickle juice is a magical liquid that can be used to jazz up potato salad, brine meat, and even add a salty punch to cocktails, but it also makes a pretty fantastic loaf of bread. As someone who puts pickles on every single sandwich (even peanut butter) I fully approve this message. 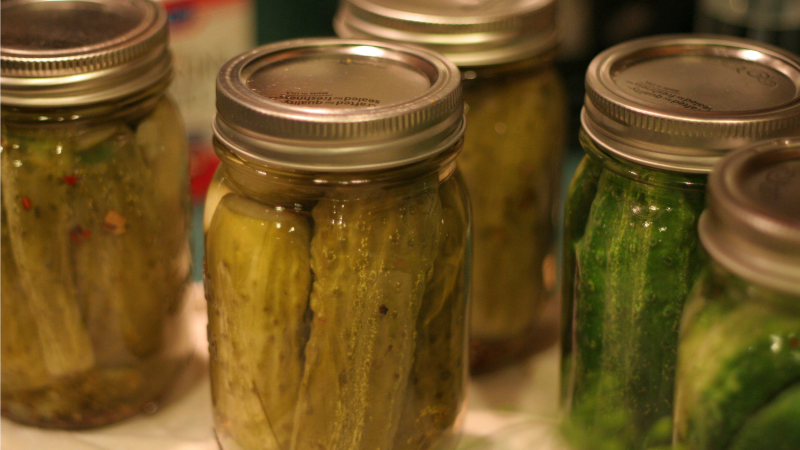 Instead of proofing your yeast with boring, plain water, throw it in some pickle brine that has been heated to 110F and let it hang out for about ten minutes. (You'll want a ratio 1 cup of juice + 1 tablespoon of sugar for every 7-gram envelope of yeast.) You can then add this sour, salty slurry to Tasting Table's recipe (linked below) or you could boost another loaf with this pickle-y magic.